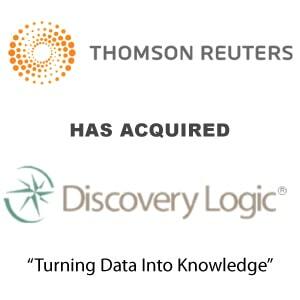 Berkery Noyes Represents Discovery Logic In Its Sale To Thomson Reuters - Berkery, Noyes & Co., LLC. New York, January 5, 2009 — Berkery Noyes, a leading independent investment bank serving the information and technology markets, announces that it represented Discovery Logic, Inc., a provider of customizable analytics and decision support solutions for scientific research, in its sale to Thomson Reuters. The company will become part of the Healthcare & Science business of Thomson Reuters. Financial terms of the transaction were not disclosed. Discovery Logic is a leading provider of systems, data and analytics for real-time portfolio management, decision support, outcomes tracking, and information visualization. The company provides unique software, data and analytics for relating people, organizations, ideas, grants, inventions, patents, publications, and products worldwide. 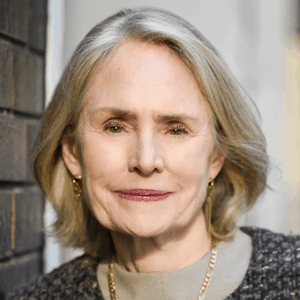 “Discovery Logic created enormous excitement in the M&A marketplace, similar to pre-fall 2007, due to its cutting-edge solutions for the information sector and its exceptionally talented professionals,” said Mary Jo Zandy, Managing Director of Berkery Noyes. About Thomson Reuters – Thomson Reuters is the world’s leading source of intelligent information for businesses and professionals. It combines industry expertise with innovative technology to deliver critical information to leading decision makers in the financial, legal, tax and accounting, healthcare and science and media markets, powered by the world’s most trusted news organization. With headquarters in New York and major operations in London and Eagan, Minnesota, Thomson Reuters employs more than 50,000 people and operates in over 100 countries. Thomson Reuters shares are listed on the Toronto Stock Exchange (TSX: TRI) and New York Stock Exchange (NYSE: TRI). For more information, go to www.thomsonreuters.com.